Playford International College (formally Fremont-Elizabeth City High School) is located in the northern suburb of Elizabeth in Adelaide, South Australia. 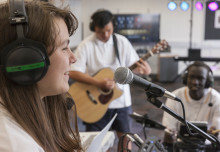 From the start of 2016, the new Playford IC, with an enrolment of over 900 students, is acknowledged as a transformational school redefining secondary education in South Australia through innovative curriculum structures and offerings, intense learning support for all students, and a daily schedule designed to improve student learning through higher levels of attendance, engagement, concentration and alertness. 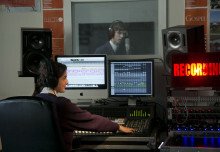 Playford International College is a designated Special Interest Music Centre, one of 4 Centres established by the South Australian Education Department in the late 70s.The Centre offers a wide range of high-quality music courses to cater for the diverse interests and needs of its student population. 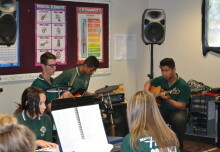 Playford IC is the only Musical Futures Champion School in South Australia, highlighting the best practice for Musical Futures and Roland work. 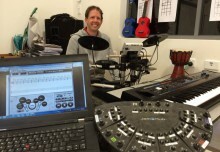 Teachers from across the state are provided with exciting professional development programs, focusing on introducing and developing Musical Futures within a variety of educational settings, and on using Roland technology in the classroom. 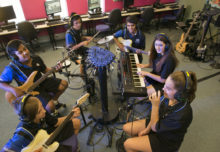 Musical Futures was introduced in 2011 and provides the foundation for our Year 8 -10 Elective Contemporary Music program. It is also the basis of our new Primary Outreach Program (POP) where we deliver Musical Futures training to local primary teachers and run workshops together with their students.